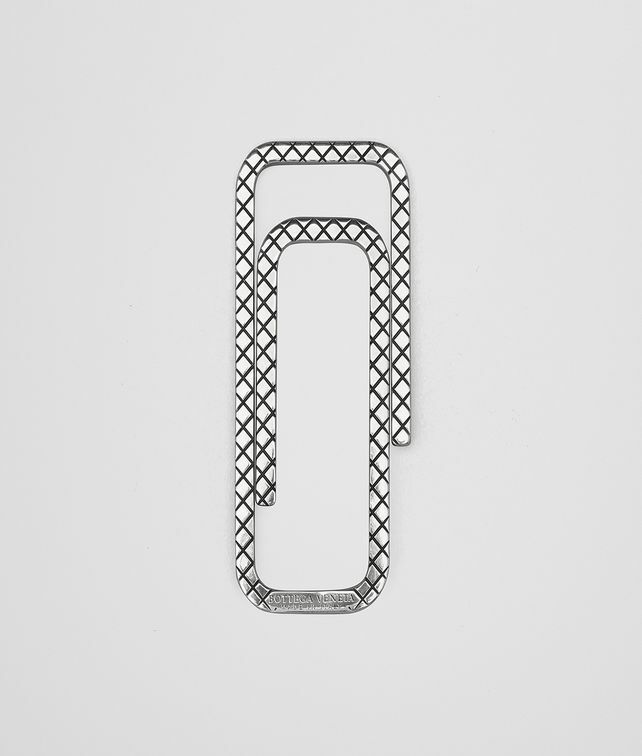 This money clip is a refined essential for streamlining daily doings. Handcrafted from sterling silver, this piece is engraved in signature intrecciato as a nod to iconic Italian craftsmanship. Its pure composition allows for elasticity to ensure its entirely functional.